Last month, Femme Folio, a creative collective made up of Alex (Monster Cliche), Jessica Laforet (This Woman I Know) and Ama Scriver, launched their inaugural zine in downtown Toronto’s Type Books. 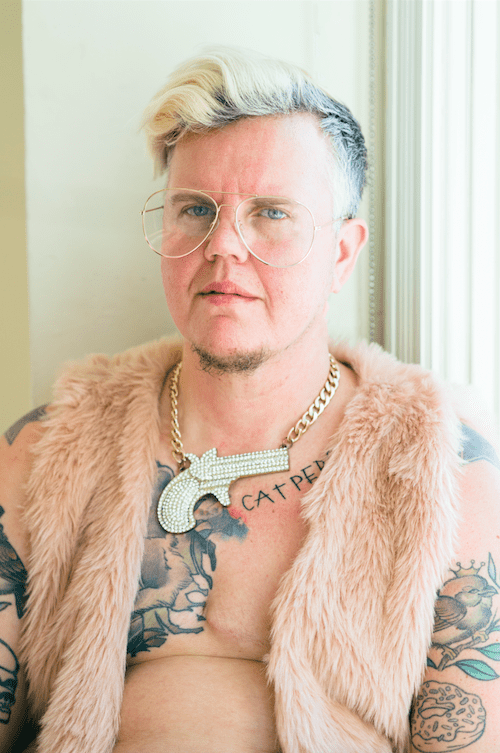 These like-minded individuals set out to create a project that would honour the voices of marginalized folks, including POC, trans, womxn, non-binary, and disabled (visible and invisible) persons. 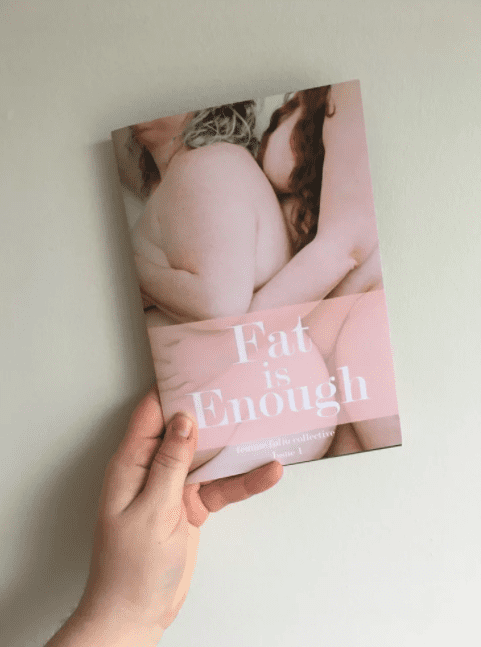 In their first issue, Fat Is Enough, Femme Folio wanted to make space “for fat bodies (specifically queer, Black, trans and disabled folks) who are thriving and surviving in a world filled with lethal beauty standards.” Through the use of photography, illustration and written word, the issue sheds light on the participants’ thoughts, desires and stories of body liberation. Whether you are uninformed about body diversity or you relate to the daily discrimination and violence experienced by the subjects, the issue serves as a source of both enlightenment and healing. We caught up with Femme Folio last week. SDTC: What is Femme Folio and how did it come to be? Why was it important for you to get this zine out into the world? FF: Each of us had approached one another (separately) about working together on different projects. 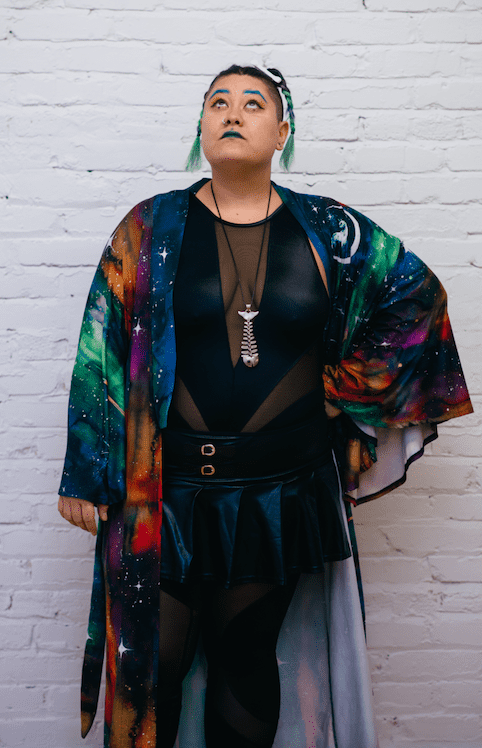 The catalyst of us bringing our individual strengths and passions together to make/create Femme Folio was Ama being invited to take part in a fat activism conference in February. She wanted to present something to table at the conference, and a zine seemed like the perfect medium. Since that initial idea, we have discussed (and felt very strongly) about making and creating zines 2-3 times a year that will bolster and empower others. Each of us (as individuals) are linked to different forms of activism and advocacy work and working on a zine to showcase other individuals and their stories seems like a great side project for us. How did you go about finding subjects? Was there anyone/anything that really surprised you along the way? Ama and Alex co-curated the list of individuals that they thought would be best to approach for the first issue. From there, we contacted them and asked if they would be interested in being part of it. We wouldn’t say anything or anyone really surprised us along the way other than the amazing and incredible support we were shown by our friends and everyone that purchased a copy or came to our launch. We are so grateful to them for that. When it comes to societal attitudes about bodies, what are you most tired of hearing? There are a lot of things, to be honest. First and foremost, people just should stop talking about other people’s bodies, period. A lot of times, people make comments like, “Stop saying you’re fat, you’re beautiful,” which is actually super reductive and super fat shamey. Just say, “You’re beautiful,” and leave it at that. Also, people need to stop thinking that they have a right to comment on other people’s choice in what they wear, how they look or present themselves. We need to relearn that if it’s not on our own body, then it literally has nothing to do with us. There is so much unpacking and unlearning to do, and that might not happen for a while with some people, but just know this much: there is no right or wrong way for fat folks to dress their body. What was it like working with the Succulent Six last summer? Ama: If memory serves, Ivory contacted me to take part in the shoot in August. She explained they were shooting the web series and they had an episode dedicated to life series drawings that she thought I would be perfect for. Filming with the Succulent Six (which took two days) was so empowering and uplifting. To be honest, everything you see on the show is absolutely real. They have not edited out any of their personalities and I felt so embraced by all of them that day. I felt so honoured to be asked to take part in such a special moment for them. This is their show and their moment and I’m just so happy to be there to support them through all this. They are out there doing us fat babes proud. I am hoping that the CBC will bring this back and keep supporting body diversity. Do you have a favourite subject who was featured in the first issue? Jess: It is hard to choose a favourite because I feel like every single time I met and photographed a subject for this issue, that person then became my favourite. This issue is full of incredible people who I am honoured to have met and gotten to know a little about. If i have to choose, then I would say that it would be Kaleb. He was my first subject that I photographed for this issue. We shot all of the images at the Gladstone Hotel, which was such a beautiful venue, and I was just so moved with how open and vulnerable he let himself be with me throughout the entire shoot. I felt so connected with him the entire time, and from having just met him that says a lot. To be honest, we’re still in the process of brainstorming and working out a timeline for the next issue. We have discussed a potential timeline of July or August as a launch date and have thrown around topics like mental health, disability, gender or sexuality. We don’t quite know where we’ll end up, but we do know that it will be great. Get a copy of Fat Is Enough here.